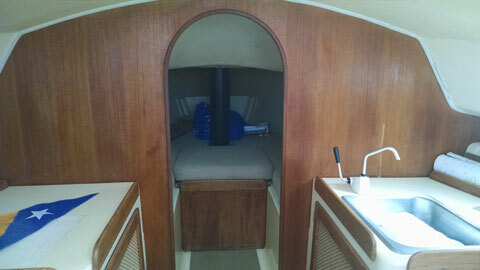 Ready and easy to sail, fully equipped and in good condition. 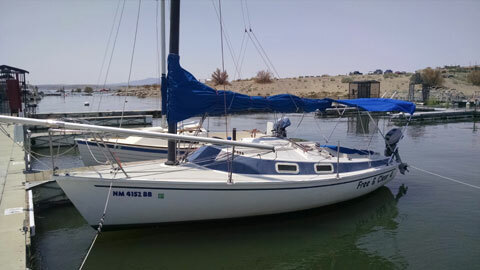 Fin keel with 3'9" draft, 8’ Beam, 2,000 pound displacement. 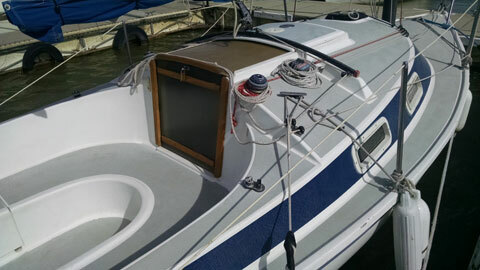 All lines run aft for single hand sailing from cockpit. Free standing carbon fiber mast. Hoyt gun mount, swivel spinnaker pole. Sails: Main, Stay sail jib, 2 Spinnakers. Like new main sail cover. 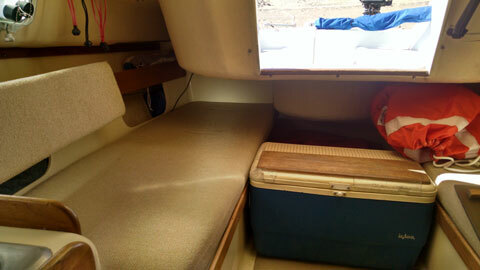 2 Cushioned cabin berths with room for two more in the V berth. Lorrance X95 Fish finder, depth monitor with solar battery charger. Very reliable Mariner 5 hp outboard. 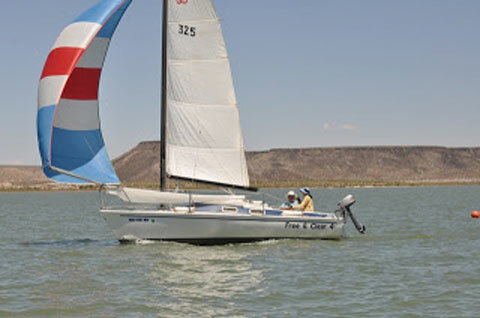 Located: Elephant Butte, NM at Rock Canyon Marina, slip rented thru April 2019.